P/O James Harold Saunders RAFVR 1392219/196874 Air Bomber with Charlie Stevens crew. Many thanks to Nigel for contacting me and passing on these 2 fantastic photographs of his Father, Jim Saunders, Air Bomber and member of Charlie Stevens crew. Having put together a starting crew list for the boys, the Op history shows a remarkable turn over of individuals – the positions of Wireless Operator, Mid Upper Gunner and Rear Gunner, at points in the tour changing on a raid by raid basis. A fantastic picture of the Stevens crew. Charlie Stevens, Pilot in the middle of the picture. Far right Jim Saunders, Air Bomber and the the extreme left, Les Hoffert. The 2 chaps in the middle of the back row are thought to be Les Hall and George Giles, Navigator and Rear Gunner respectively. F/S Stevens and crew arrive on base on 2nd January 1945 from No.31 Base. F/S T. Dewsbury returns to crew as Mid Under Gunner. This entry was posted in general and tagged 1945, 75(NZ) Squadron RAF, A. Griffiths, Alan Rhodes, Aviation, Bill Reay, Bomber Command, Charles Mackenzie Stevens, Edward Plowman, Frank Watts, George Giles, Gwyn Duglan, J. Crawford, J. Tutty, James Harold Saunders, Jim Murphy, LAC Barnes, Les Hofert, Leslie Robert Hall, Mepal, Richard Urlich, Roderick Powell, T. Dewsbury, W. Jones, W. Pugh, World War 2 on January 5, 2014 by 75nzsquadron. As a research activity gathering together the flights of Mikes father, John Rowlands (Turnbull crew), I ended up gathering the Op history of Wi Rangiuaia and his crew, so it seems a shame to waste the information and hopefully someone might come across this post and be able to tell us a little more about the boys………..
As is sometimes the case – a number of RAFVR boys in the crew and no record of their christian name – so fingers cross, we might get to know them a little better. 22.1.45. Rangiuiai 2nd pilot with Abrams crew. War Ops – Duisberg. 28.1.45. Rangiuiai 2nd pilot with W/C Baigent. War Ops – Cologne. 11.3.45. War Ops – Essen. 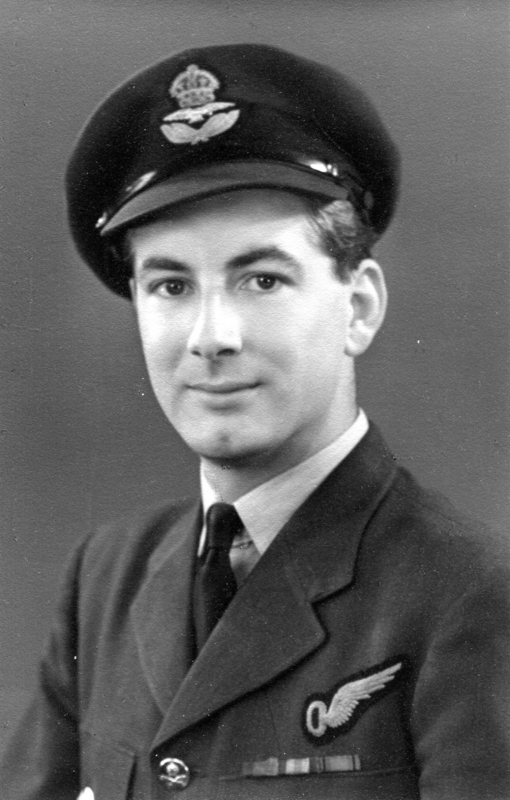 P/O Kiwi Ernest Amohanga 2nd Pilot. 14/15.4.45. War Ops –Potsdam. F/L Grant Alan Russell as Air Bomber. 2.5.45. War Ops – Supply Dropping over Delft. Back to regular crew, but minus the MUG, Sgt. Mynott. 7.5.45. War Ops – Supply Dropping over Delft. Again no Sgt. Mynott. 10.5.45. War Ops – Juvincourt repatriation. F/O Patrick Wilson as Wireless Operator. 12.5.45. War Ops – Juvincourt repatriation. F/O Patrick Wilson as Wireless Operator. 14.5.45. War Ops – Juvincourt repatriation. 12.6.45. War Ops – Viewing the Effects of the Bombing. 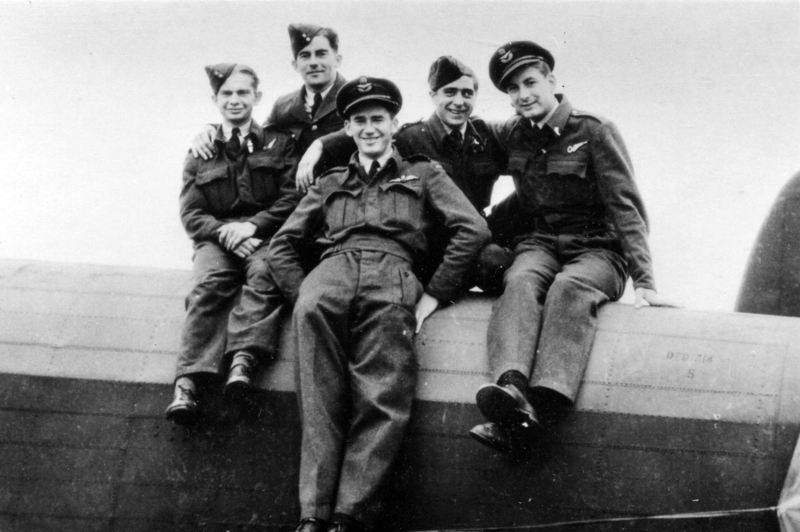 Significant crew change; F/Sgt A Matthew – Navigator, F/Sgt Mervyn Lawrence Stewart – Air Bomber (ex Turnbull crew), F/Sgt John Edward Barry Mossman – Wireless Operator, F/Sgt John Gerald Rowlands – Flight Engineer (ex Turnbull crew), Sgt T Mynott – MId Upper Gunner, Sgt F Hadden – Rear Gunner (ex Turnbull crew). This entry was posted in general and tagged 1945, 75(NZ) Squadron RAF, A. Matthews, Aviation, Bomber Command, D. Morrison, F. Hadden, Gwyn Duglan, John Edward Barry Mossman, John Gerald Rowlands, Kiwi Ernest Amohanga, L. Player, Mepal, Mervyn Lawrence Stewart, T. Dewsbury, T. Mynott, Wi Rangiuaia, World War 2 on June 29, 2013 by 75nzsquadron.